The importance of communication skills for project managers can't be emphasized enough. Project managers spend a lot of time communicating with individuals and groups. In fact, it's been estimated that project manager's spend 90% of their time on communication related activities! This makes sense when you consider that communication overlaps with most aspects of a project manager's job. For example, when assigning a task to a team member, it is critical to clearly define what needs to be done and the expected outcome. Depending on the team members skills, you may also need to be able to communicate how to do the task. If you don't communicate these aspects of the task clearly, the task is unlikely to be completed successfully. For example, if you choose a poor medium to communicate status, you can end up spending a lot of time repeating status to multiple project stakeholders whereas if you had chosen an effective type of communication medium to report your status update could've kept everyone informed in an efficient manner. As you can see, from assigning tasks to team members to providing status updates, a project manager is constantly communicating. A project manager with good communication skills ends up amplifying the effectiveness of everyone he interacts with. This greatly increases the likelihood of his project meeting or exceeding stakeholder expectations. Likewise, if a project manager's communication skills aren't up to par, there is a much higher probability that his project will not be successful. Understanding a basic model of communication can help you identify areas for improving your communication skills. Since communication plays a vital role in the success or failure of your project, it's important for you to take the time to improve your communication skills. To get started, take a look at the articles below. 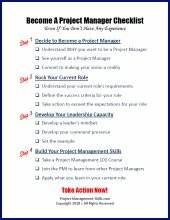 Understanding the importance of communication skills in project management is the first step to successfully managing your projects.